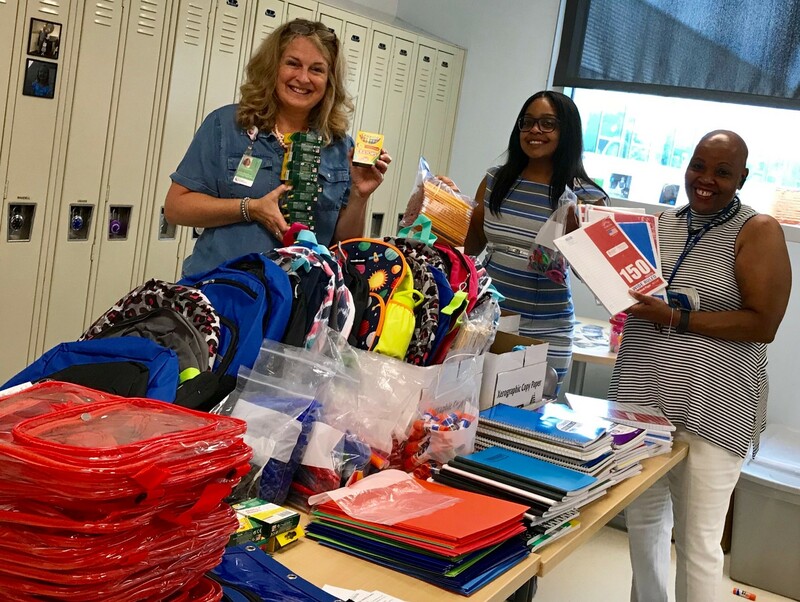 “Seeing the kids’ smiles when they receive a backpack is so heartwarming,” stated Legal Aid Advocate Deanna White. She was talking about Legal Aid staff joining with our Child HeLP partners at Cincinnati Children’s to collect school donations for children seen at the Hospital’s Pediatric Primary Care Center whose families might have trouble affording needed school supplies. In addition to getting back to school checkups, hundreds of kids will also receive backpacks filled with basic supplies. Deanna concluded, “It’s another example of how our partnership with Cincinnati Children’s serves a broad spectrum of needs in our community. Thanks to everyone who donated! Photo on right: Donita Parrish, Senior Attorney, Child HeLP Project Manager, and Deanna White, Legal Aid Advocate. 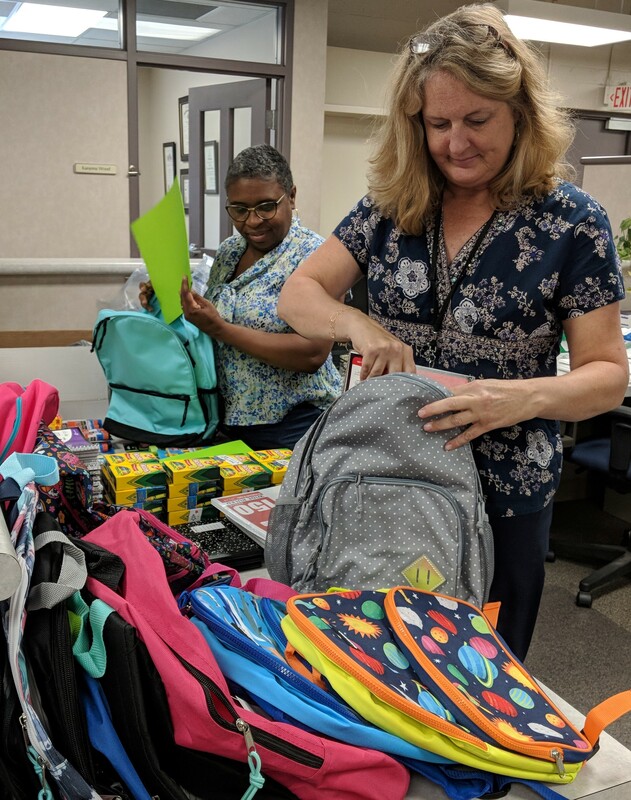 Photo above: Deanna White, Legal Aid Advocate, Ashli Dees, CCHMC Social Worker, and Lisha Lungelow, CCHMC Community Resource Liaison, fill backpacks with donated school supplies at the PPC.